Prior to the formation of the Coast Guard, the United States Life-Saving Service performed maritime search and rescue. S.O.S. (Save Our Station) Vermilion is a 501(c)(3) nonprofit organization formed by people passionate about preserving the history of the U.S. Life-Saving Service at Vermilion Point on Lake Superior. 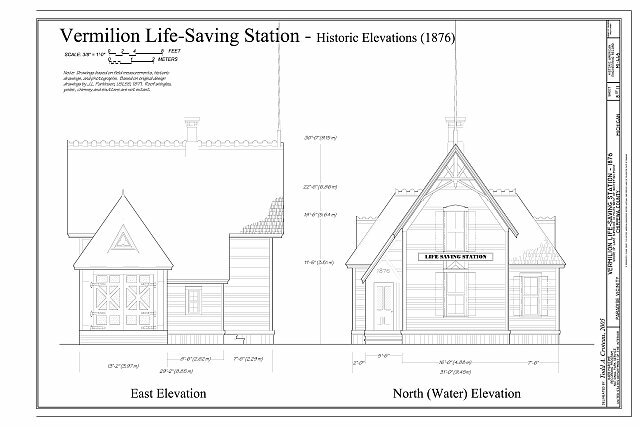 The Vermilion station was one of the first four life-saving stations built on Lake Superior, and the only one left standing of that Lake Superior Type architectural style. The station is located on 175 acres owned by the Little Traverse Conservancy, a land conservancy. S.O.S. Vermilion is partnering with them to preserve and restore the Vermilion Point U.S. Life-Saving Service station building. Our intent is to restore the station to its original 1876 appearance.